Twenty. The #WNBA is officially 20 years old. It’s that age where you’re not quite legal but definitely too old to be acting like a kid. 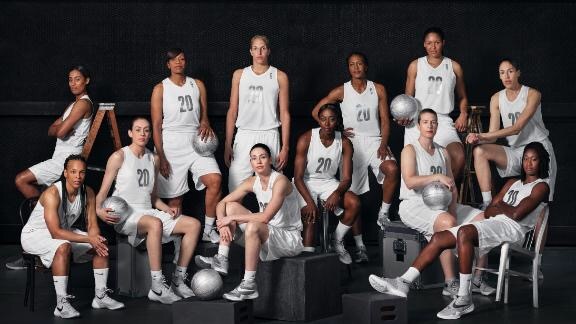 It’s that age where you parents start looking at you and asking, “What are you reeeally going to do with your life because we’re not going to keep paying for school if you aren’t going to make something of yourself?” The WNBA is at a similar crossroads. It’s time for it to show itself to be a fully capable, viable entity. Will it learn to sustain itself and find its own voice? Or will it continue to flounder about looking for its true identity and trying to show its legitimacy to the masses? I have no doubt that it will prove itself to be a true force to be reckoned with because #GirlsAre resilient and #GirlsAre Strong. I couldn’t disagree with you more, that after 20 years the wnba has shown that it has shown absolutely no ability to be self sufficient on any level. The fact that they are still receiving 12 million dollars a year from the NBA too cover the entire league’s salaries and even more telling is the TV contract from ESPN which was a throw in from ESPN too secure the NBA contract. The league has never attracted the fans that pay billions dollars to the NBA but has steadfastly refused to support the wnba despite Adam Silvers support of the league. A more telling example would be the fact that the has hitched the league’s future to agenda groups, lesbians and feminist who don’t have the league’s best interest at heart. The fact that the league doesn’t even control it’s own players only proves the league has no credibility, no other league would allow such movement. Thanks for the input!! I definitely agree that it’s future doesn’t seem bright without some serious changes. One of the big changes that I think needs to occur is in the way they structure contracts. I think they need to structure contracts where they incentivize players to stay here throughout the year and drum up support for the league. And I agree that there definitely need to be changes in marketing and partnerships. Lots of changes need to occur, but I’m not giving up hope completely. I think there are smart, talented people who can figure it out.